On the West Coast of Florida, Tampa currently stands as the third largest city in the state, full of exciting unlocked treasures and offering a combination of rich history and modern landscaping that keeps the residents of the city busy year-round. While Florida can get hot throughout the year, Tampa is a city known for its great weather as the temperature rarely exceeds 100 degrees. Tampa is made up of an abundance of parks to enjoy the climate year-round, with an average of one park for every 2,300 residents. Some of the city’s favorite parks include Tampa Bay Boulevard Linear Park, Snow Park, and Curtis Hixon Waterfront Park. Other major highlights include Busch Gardens, various large museums, several beaches, and the city’s football team, the Buccaneers. The city also holds many annual festivals, a tradition in Tampa. Two of their biggest celebrations are Guavaween and Gasparilla. Guavaween is a Latin-flavored Halloween celebration hosted the last weekend in October and Gasparilla is Tampa’s version of Mardi Gras that dates back to 1904. Over the years, Tampa has become known for many taste bud ticklers that are sure to satisfy your cravings. Their claim to fame is the Cuban sandwich and can be found at one of the local’s favorite restaurants, The Refinery and Bern’s. Tampa is also becoming highly known across the country for craft breweries, such as Cigar City Brewing. Sports are also a popular form of entertainment in the Tampa area. The local teams include The NFL Tampa Bay Buccaneers who won the Super Bowl in 2002, the MLB Tampa Bay Rays, the NASL Tampa Bay Rowdies, and the 2004 NHL Stanley Cup winning Tampa Bay Lightning. With great weather and friendly people, Tampa is a wonderful place to settle down and call home. The city also provides many educational opportunities as the 8th largest school district in the United States, and home to top rated college, The University of Tampa. Aspen Square Management is proud to have the finest apartments near Tampa, FL; Stillwater Palms, and The Preserve at Alafia. Each of these beautiful communities offers a variety of different floor plan sizes from one to three bedroom apartments for rent in the Tampa area. Stillwater Palms offers student housing for CFI and St. Petersburg College students. 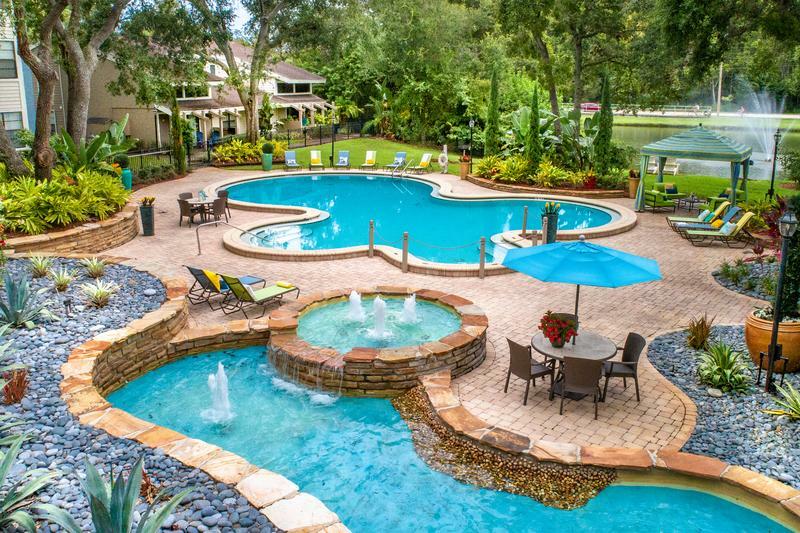 The Preserve at Alafia is south of Brandon, and just minutes from downtown Tampa. Our apartments near Tampa, FL will have exactly what you are looking for and more. Experience the enormous variety of attractions and perks in Tampa while calling one of our many Aspen Square Communities home. Enjoy gourmet-style kitchens with granite-style countertops, white cabinetry and stainless steel appliances. At the end of the day, spend the night sitting out on your own private balcony or patio while you curl up with your favorite book. Get your pup ready, because they’re moving in! Our apartments near Tampa, Florida are pet friendly and we accept breeds of all sizes. Come visit our bark park and let your dog run around, meet other pups in the neighborhood, or try their hand at the agility obstacles. When you’re in need of a swim, visit the resort-style pools or lounge in the sun on our expansive sundeck. If you need to get in shape, look no further than our on-site fitness center with all the equipment you’ll need to get your perfect workout. 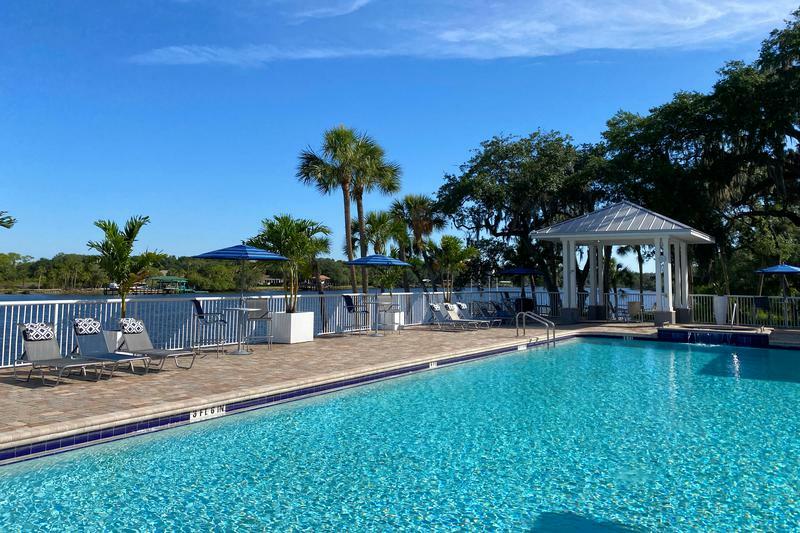 Learn what everyone’s been saying about our apartments near Tampa, Florida and talk to our staff about visiting the Preserve at Alafia or Stillwater Palms.